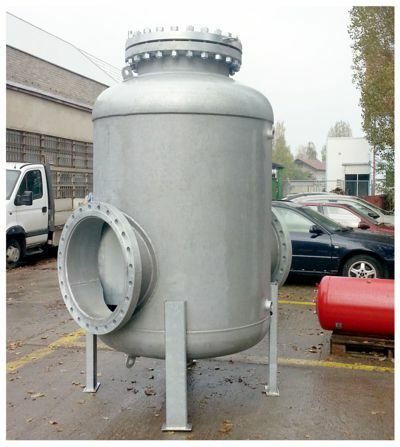 Designed for accumulation and temperature stabilization of medium and special requirements. 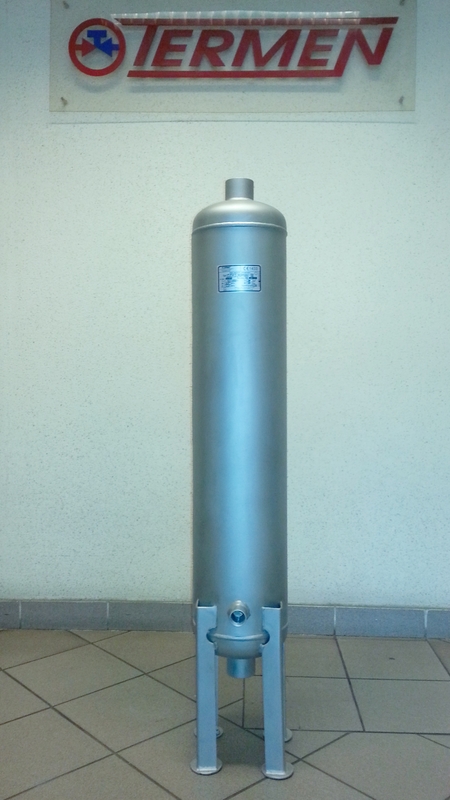 Designed for cold or hot water (CZW/ZCWS) or non-aggressive liquids (e.g. 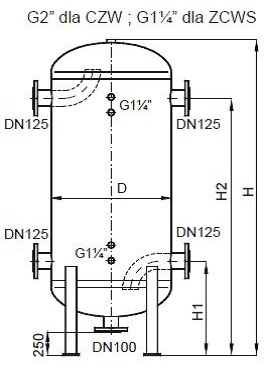 glycol solutions, brine, CZW-G/ZCWS-G). 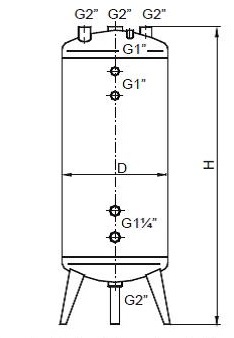 Different applications depending on port layout and overall dimensions. 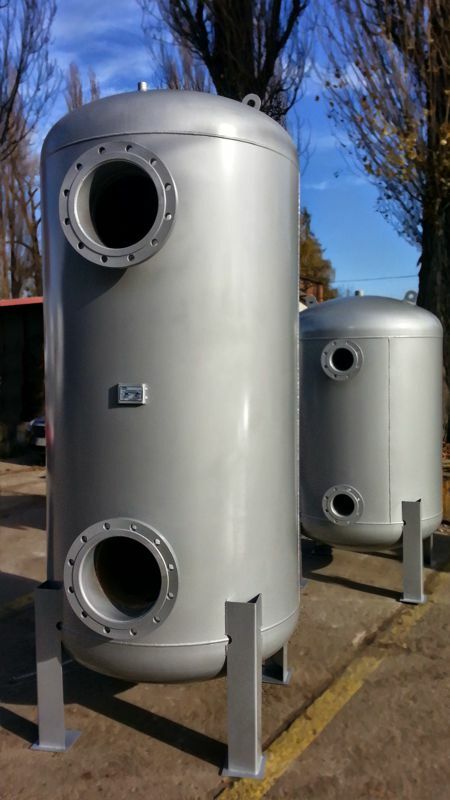 The tank is designed as a cylindrical hot-galvanized low-carbon steel tank (CZW/CZW-G, available with paint coat finish) or high-alloy steel tank (ZCWS/ZCWS-G). The shell and the heads can be fitted with custom ports. 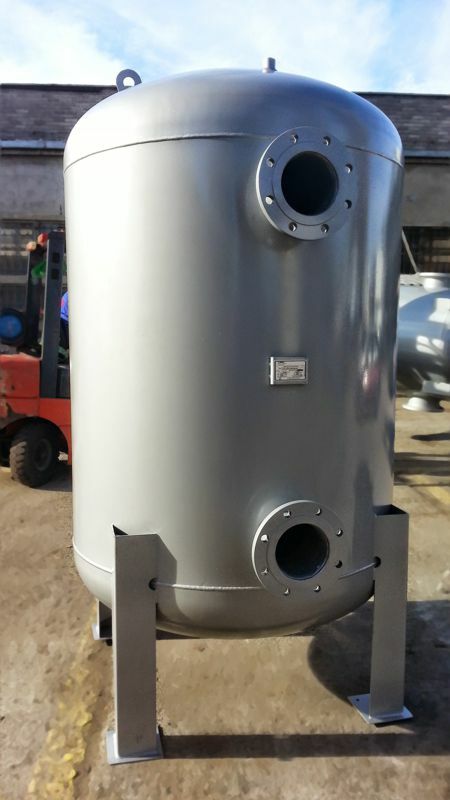 The ports can be extended inside the tank with a pipe or elbow for special applications.